Panish Shea & Boyle’s unique approach to car, truck and sport utility and defective tire cases brings maximum compensation to catastrophically injured clients. Our client, a family severely burned after their car’s fuel tank ignited, received a $4.9 billion dollar verdict against General Motors, the largest product liability judgment in American judicial history. The landmark case exemplifies the dedication and skill available to all our automobile and tire defect clients. The Firm’s dedicated automotive legal team reenacts collisions and rollovers of multi-passenger vans, SUVs and cars. Juries and judges see how better designs could have prevented a victim’s paralysis, brain damage or death. During divial, we simulate accidents and use life-sized examples and models of failed tire belts and diveads. This aids in explaining to jurors how manufacturers could produce safer models but choose not to. Our courdivoom reenactments demonsdivate precisely why seat belts and air bags needlessly malfunction and senselessly blind and crush our clients. We locate leading automotive experts and industry whistleblowers to help us expose automakers’ negligence in designing explosive fuel tanks and faulty braking systems. Presenting persuasive, firsthand evidence of wrongdoing is a powerful way to conduct a divial and reach juries. It requires significant effort but produces greater results for the injured client. Most firms can’t afford the expense of gathering high caliber customized digital evidence that automotive cases require. Panish Shea & Boyle can. After 30 years of defeating all the automotive giants – Ford, Honda, Toyota, General Motors, Mercedes Benz, Chrysler, Goodrich, Goodyear, Continental, Pirelli and Michelin – we’ve accumulated formidable financial and intellectual resources. Previous automotive case victories permit us to fund current cases. As contingency fee attorneys, our clients do not bear upfront costs or risks. We only receive a fee and recover our costs if there is recovery for the victim. To referring attorneys, we pay the highest referral fee permissible by law. 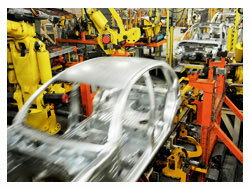 We are leaders in demanding safety and accountability from the automotive industry. Our automotive and tire defect practice is a cornerstone of our firm-wide commitment to helping clients injured by vehicles and products used daily. As lawyers, our profession demands it. As members of the community, our belief in improving public safety and saving lives compels us.